Palau Islands, West Pacific, 40 m deep. 22 Nov 2002. Hideo Ohba. © Palau International Coral Reef Center. 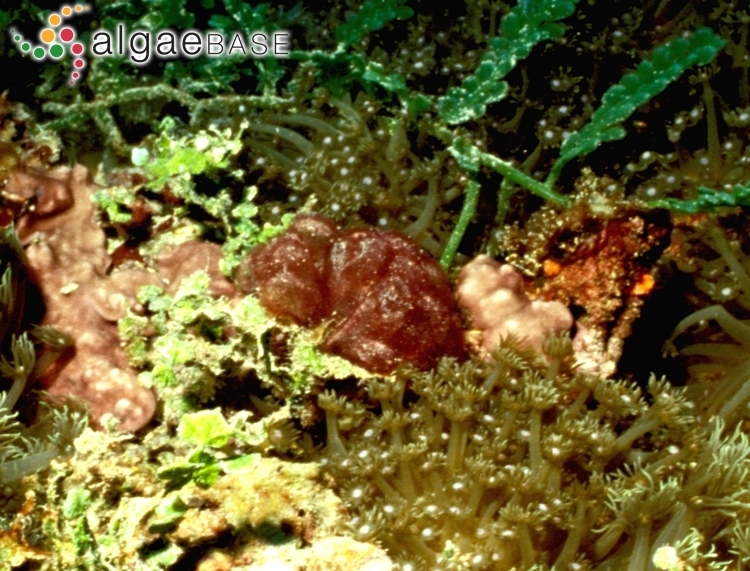 Hawaii; cartilagionus basal stalk; scale is 5 mm. 12 Aug 2011. J.M. Huisman. © J.M. Huisman. western outer slope, South Scott Reef, Western Australia, at 15 m depth. John Huisman. © John Huisman (j.huisman@murdoch.edu.au). Heron I., Great Barrier Reef, Queensland, Australia; in the middle of Wistari Channel at 36m depth.. 15 Aug 2011. John Huisman. © John Huisman (j.huisman@murdoch.edu.au). Pacific Islands. 08 Dec 2004. Peter Skelton. © ORDA and Peter Skelton (skeltonp@bigpond.net.au). Published in: Doty, M.S. (1963). 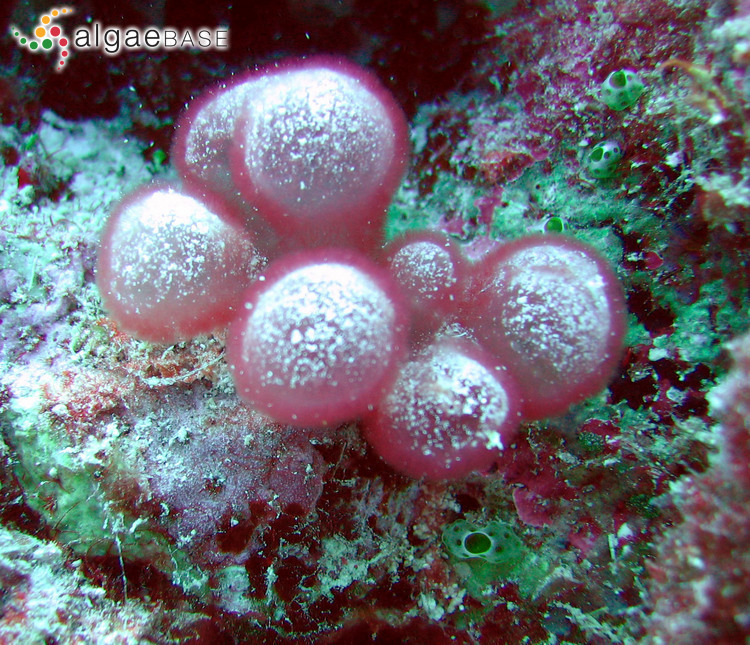 Gibsmithia hawaiiensis gen. n. et sp. n. Pacific Science 17: 458-465, 17 figs. 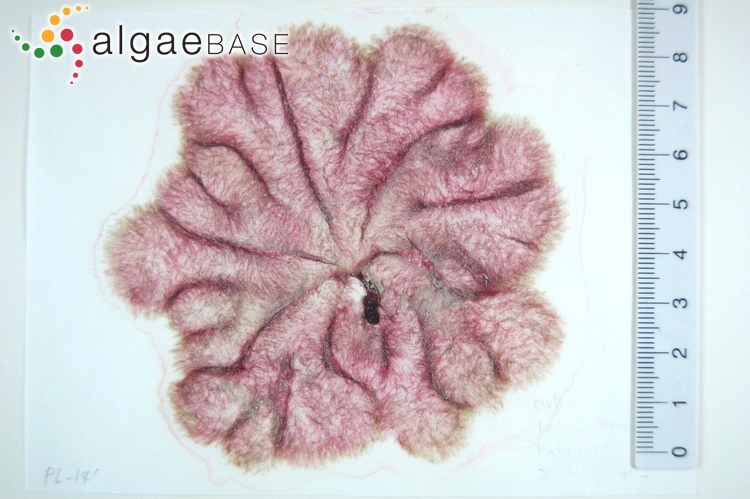 This is the type species (holotype) of the genus Gibsmithia. 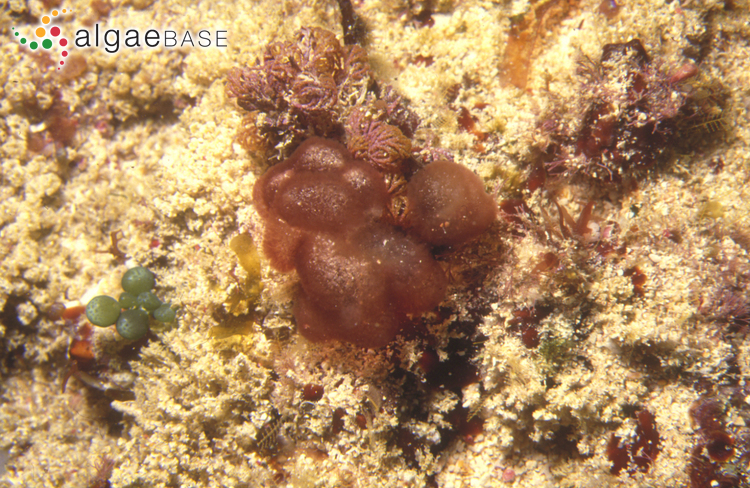 Type locality: Honolulu, Oahu, Hawaiian Islands (Doty 1963: 148). 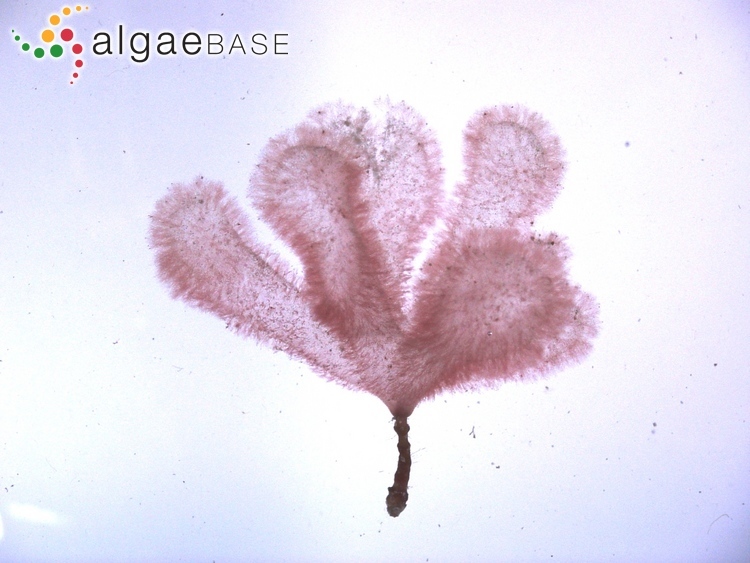 Holotype: BISH MSD 19263 (Yoshida 1998: 670). 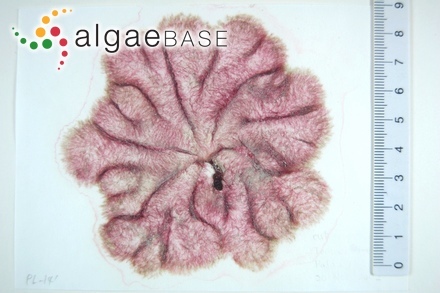 Notes: Type locality: Kaneohe Bay, Oahu, Hawaiian Islands (South & Skelton, 2003: 727). Gabriel, D., Driasma, S.G.A., Sauvage, T., Schmidt, W.E., Schils, T., Lim, P.-E., Harris, J. & Fredericq, S. (2016). 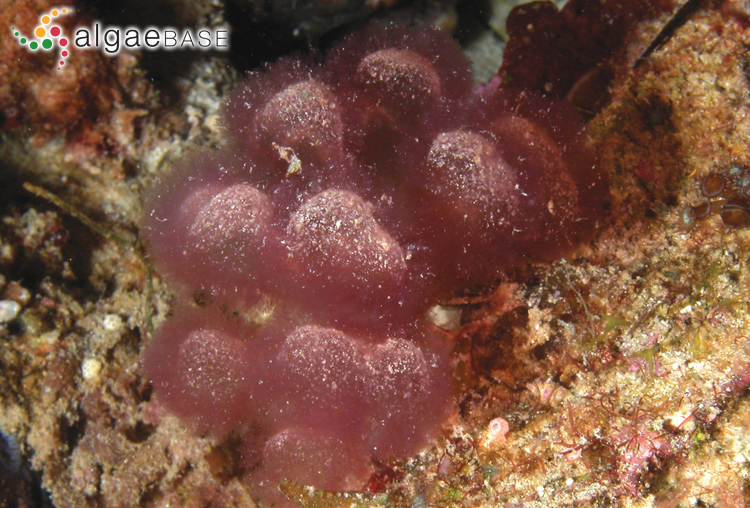 Multilocus phylogeny reveals Gibsmithia hawaiiensis (Dumontiaceae, Rhodophyta) to be a species complex from the Indo-Pacific, with the proposal of G. eilatensis sp. nov. Phytotaxa 277(1): 1-20, 8 figs. Kraft, G.T. (1986). 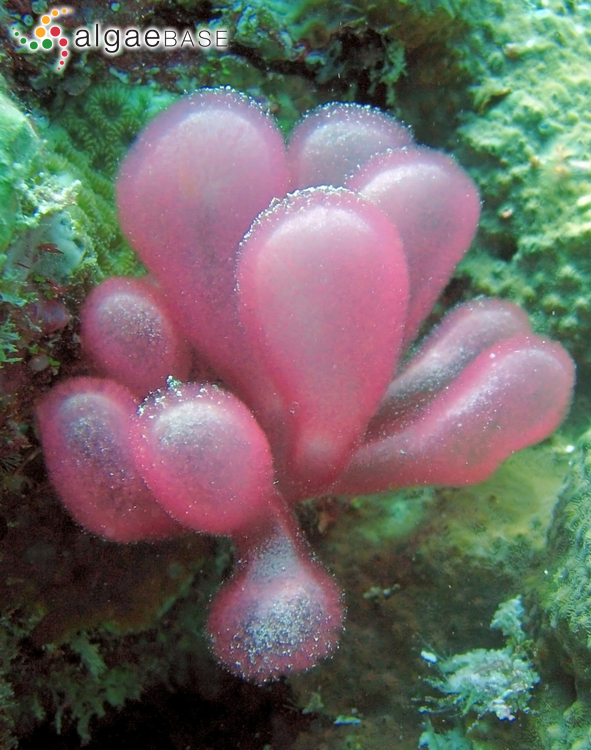 The genus Gibsmithia (Dumontiaceae, Rhodophyta) in Australia. Phycologia 25: 423-447. Accesses: This record has been accessed by users 3461 times since it was created. Doty, M.S. (1963). 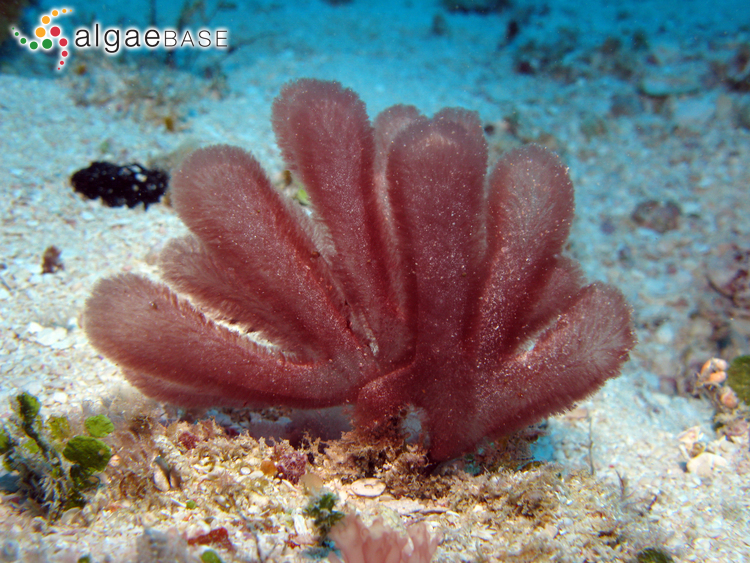 Gibsmithia hawaiiensis gen. n. et sp. n. Pacific Science 17: 458-465, 17 figs. Gabriel, D., Draisma, S.G.A., Schmidt, W.E., Schils, T., Sauvage, T., Maridakis, C., Gurgel, C.F.D., Harris, D.J. & Fredericq, S. (2017). 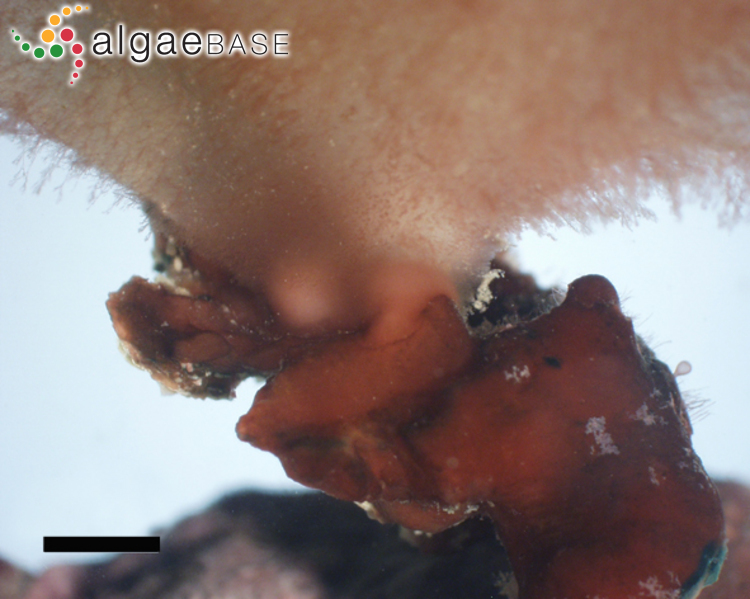 Beneath the hairy look: the hidden reproductive diversity of the Gibsmithia hawaiiensis complex (Dumontiaceae, Rhodophyta). Journal of Phycology 53(6): 1171-1192.